The 2015 Chevrolet Volt is an electric car that can run for nearly 40 miles without using a drop of gasoline, but it also has a 4-cylinder gasoline-burning engine, letting it go an additional 340 miles before needing refueling. If you want an EV, but can't get past range anxiety, the Volt is a clear choice. 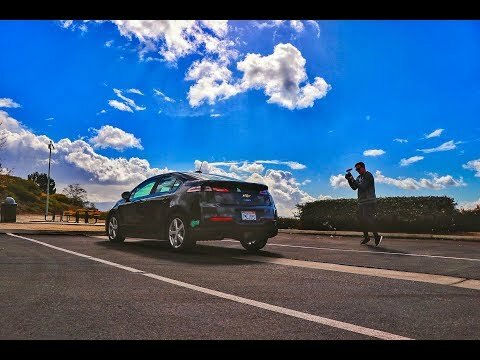 The volt is an awesome car! I have no problems with my volt. It is sporty, comfortable, very smooth riding. I love not having to purchase gas very often. It has lots of power to be able to merge into traffic. It is a very a quiet vehicle. The radio is great, it has Bose speakers which sounds great. Heated seats work great in the winter. My volt came with not only rear sensors, but also front sensors. The rear camera is very wide ranged and very clear. S. I purchased my volt in december of 2014. I have not had any issues at all. I have had it serviced on a regular basis, keep it clean and is garage kept at night. It is all touch for the controls such as the radio, seat warmers, climate, CD player. There is a center console. Storage on the top of the dash and the rear seat console. There are very comfortable bucket seats in the back too. Love my volt! Great car that could be a little more comfortable. One of my favorite features is that it has a reserve gas tank for when you want to go on longer Journeys. I love that it is electric but without the range anxiety of others. My biggest complaint is that it is not super comfortable. It is clearly made for commuter use and not longer trips. I have not spent much time in the back seat but I imagine it is pretty comparable to the front seats. I love nearly everything else about it. The interface is all very sleek. The fact that the phone automatically switches to the car's speakers is a little annoying but there may be a way to turn that feature off that I haven't discovered. The quality of phone calls is a little less than ideal. We are saving a ton of money on gas, compared to our other vehicle. It is the first car I've owned with a back up camera and I really like that. It is very comfortable and easy to drive. Two complaints - I wish it had a longer charge (more than 46 miles) and I wish there was at least some storage (trunk-like) rather than just the hatchback with flimsy cover.